I'm Wojtek Fus, a 25 years old, Polish concept designer working on film and AAA video game projects since late 2011. I've been involved in a wide range of productions providing a variety of work such as concept design, environment design and matte painting. Some of my recent work include The Witcher 3: Wild Hunt, Horizon: Zero Dawn, Detroit: Become Human and many more! 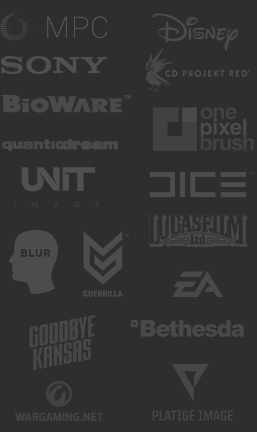 Over the past 3 years I've been working closely with many studios such as: Sony Pictures, MPC, Disney/Lucasfilm, One Pixel Brush, CD Project Red, Guerrilla Games, Quantic Dream and Platige Image. Together with fellow artist Jonas De Ro and Darek Zabrocki we launched Level Up. A highly successful, free, online learning platform that connected over 120,000 artist on their journey to become professional.